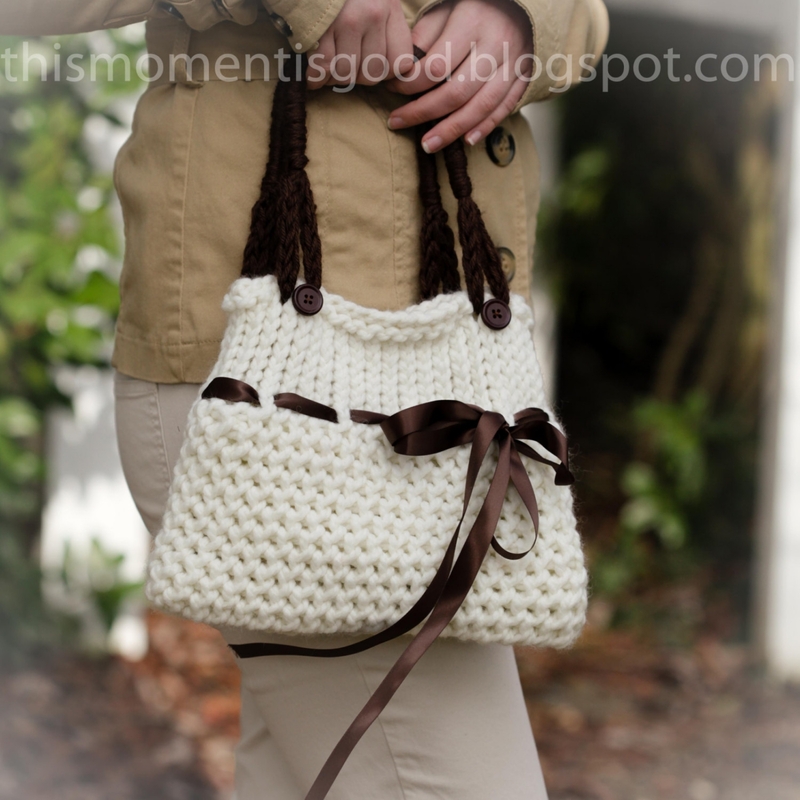 Description: This is a pattern for a classic loom knit handbag/purse with Ribbon Embellishment. All directions are included plus a video link on how to do the stitch on this purse. Level: This pattern is suitable for any level loom knitter. Loom Needed: The 41 peg yellow Knifty Knitter loom or equivalent is used in this pattern; 3/4" peg spacing loom. Measurements: The finished handbag measures 9" H x 11" W.
I love all of Nicole's purses. They are easy to make and beautiful to give as gifts or just keep.